Sadly, the days of robust, metro dailies are over. Daily newspapers, which can’t compete with specialist publications or the immediate nature of the Internet, are dying a slow death. But is all hope lost for print? Recent news suggests otherwise. 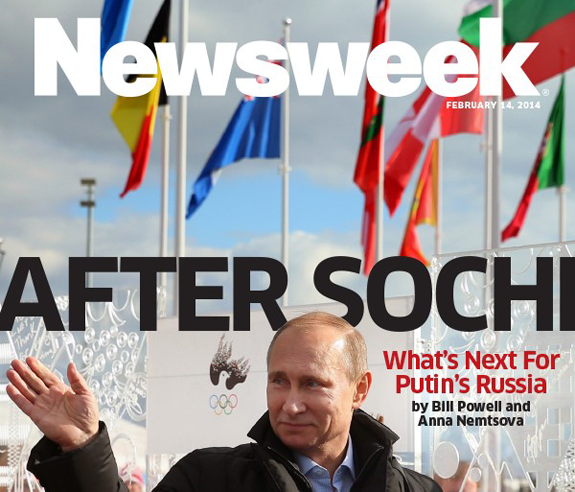 Last week, the new owners of Newsweek revealed that the famed weekly magazine will return to print after more than a year out of printed circulation. Publishers said the magazine would mainly be supported by subscriber fees, rather than advertising. Clearly they believe that so-called long-form journalism has a place in print. More on that later. Other publishers are taking a run at print as well. Earlier this year, Meredith Publishing launched a print magazine based on the popular website allrecipes.com. If you don’t cook, you may not know that allrecipes.com is one of the dominant recipe sites online (a recent search for chocolate chip cookies, for example, found more than 1,200 recipes). But if the website draws a ton of traffic to an efficient, online venue, why launch a recipe magazine — asking people to pay for something they can get for free online? In an interview on Bloomberg TV, the CEO of Meredith explained that most people search online for recipes which they already know or are aware of. However, they will read a magazine to get inspiration or to learn about new recipes. A print magazine, with nice pictures and inventive ideas, can still inspire people to do and buy things in ways that the web can’t. Food Network and HGTV have, fairly recently, created successful magazines on a similar premise. Help people come up with new ideas for the kitchen table, or for home design — and sell some advertising in the process. It also helps that food companies have sizable advertising budgets, and still love the tangible, high-gloss photography provided by magazines. Likewise, Miami publisher Ron Mann recently started a new glossy business monthly called South Florida Executive. Launching in March, the magazine, according to Mann, hopes to fill the void left by shrinking business pages — which has forced editors to focus on day-to-day news, rather than the personalities driving a local marketplace. Granted, The Saturday Paper is not a new metro daily, but rather a specialty paper; yet, given the current state of advertising involving newsprint, it’s a pretty aggressive move by the Aussies. The print media conundrum remains just that. Some publications continue to survive, while a few thrive. I hope more publishers figure out ways to make print work. Custom Publishing is thriving. More and more corporations and institutions are creating targeted newsletters, magazines and books that capture their core values and promote their unique accomplishments.